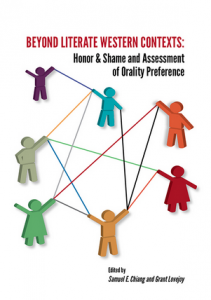 The International Orality Network (ION) recently released Beyond Literate Western Contexts: Honor & Shame and the Assessment of Orality Preference (eds. by Samuel Chiang and Grant Lovejoy). This book compiles the papers presented at 2014’s ION consultation in Houston, TX. The ION has kindly made the PDF version available for free download. I’ve really enjoyed many of the articles on honor-shame & orality. But if you only had time for to read one, I’d suggest ch. 6, “Honor and Shame: A Review of the Process and Articles,” in which Christopher Flanders summarizes and analyzes all the contributions. Enjoy the read, and be sure to share with others! 1 Pings/Trackbacks for "New book: Honor-Shame & Orality, by ION"